In these days, there are rumors saying that mobile SIM card will be released with 5000 kyats (USD 6.00/pc) on 1st of April. Last month, I bought two GSM SIM cards with Kyats 240,000 (USD 280++) and 290,000 (USD 341++) each. I knew that after sometime SIM card price will be dropping a lot. But I got no choice; I couldn’t wait because my project needed it. Now price is nearly dropping a lot. I knew there was whatapps and viber while I was in abroad, however at these days, people seldom use and the mobile plan rate also not much difference in abroad countries. When I get back to Myanmar also, I am using CDMA800 card and using ordinary phone, it was sometime I am out of touch with such application. Last month, I bought one smart phone and try with GSM internet which is half price of CDMA internet (2kyats per minute). It is not bad. Now I am installing viber, whatapps, tango and wechat also. While I started using those, some people said that registration is difficult for certain application. Viber also sometime, we are unable to receive activation sms, and the number received by voice call no longer valid for activation, because of certain reasons. But nowadays, connection is also not that bad. 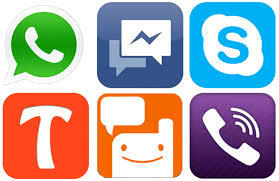 Now, I have viber, skype, whatapps, tango and wechat. Out of those, wechat is the one I cannot use right now. It says that it is not supported for Myanmar mobile number. However, my friend advice me to ask help from someone in abroad to receive activation sms, then we can use. In abroad, the data usage is unlimited with certain amount of charges, in Myanmar data usage is charging per minute instead of data usage. If you make ordinary call, it will charge you 50 kyats per minute. If you turn on 3G, then use either one of the above applications I had, it will charge you 2 kyats per minute, which is 1/25 of normal call. The only limitation is that both users have to use 3G enable phone and you have to make a miss call prior turning on 3G. Let say you are trying to call your friend, please let them know “don’t pick up my call at the first ring. And please turn on 3G after receiving missed call.” By then, both users turn it on already, you can use one application out of the above mentioned apps. It will save you 1/25 time of your call charges, meaning that you can talk up to 25 minutes to reach 50 kyats which is just one minute charges in ordinary call. It not only applies to local call, but applies to international calls as well. Some says that the reception is better for international calls as of the bandwidth is better on one side. this… IE still is the market leader and a huge portion of people will miss your excellent writing because of this problem. take pleasure in reading through it. thing that is needed on the net, somebody with a little originality. The reason is, once you change your еating regimе tо consist of healthier сhoices, yoս will lower your caloric intake. is getting more from this web site, and your views are good designed for new visitors.